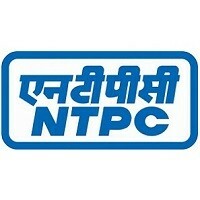 NTPC Recruitment 2019 – National Thermal Power Corporation Limited (NTPC) scheduled for Engineering Executive Trainees (EET) in various disciplines through GATE 2019. The detailed eligibility and application process are given below. Educational Qualification: Full time Bachelors Degree in Engineering/Technology/AMIE with not less than 65% marks from recognized University/ Institute. How to apply NTPC Recruitment for ET? All interested and eligible candidates apply ET vacancies in NTPC Career website from 10 January 2019 to 31 January 2019. [Last date extended up to 7 February 2019]. Last date for online Registration of application by candidates for NTPC: 7 February 2019.